James O’Keefe’s visited a Philadelphia ACORN office. 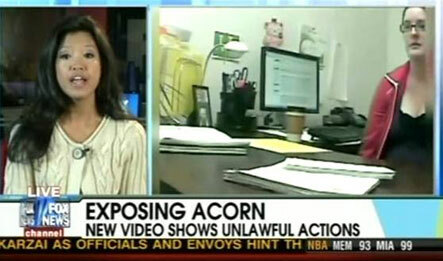 Subsequently, Fox News ran what even they referred to as “heavily edited tape.” Captions aired on Fox News Channel stated, “Exposing ACORN: New Video Shows Unlawful Actions.” The problem? The video shows no such thing. Additionally, ACORN workers filed an incident report with Philadelphia police following O’Keefe’s visit.